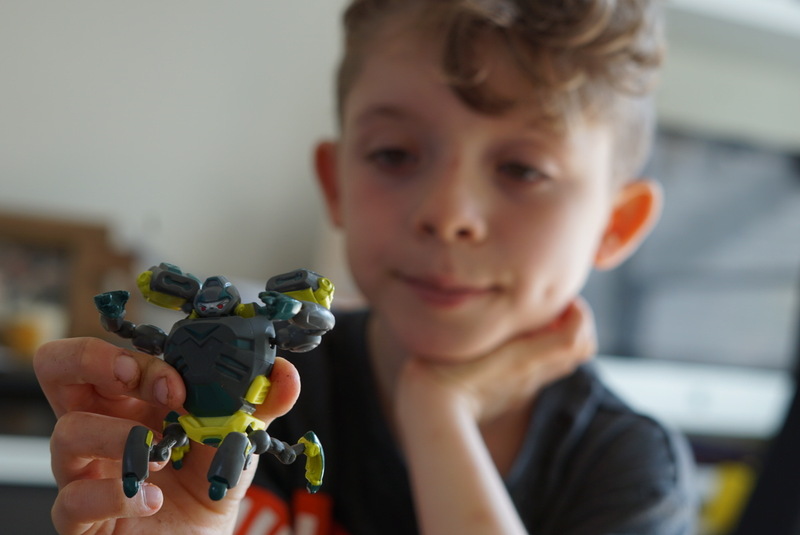 Noah recently received a fun Ready2Robot toy and some goodies to enjoy a yummy meal and movie night. The kids loved it and they really enjoyed the television episodes. Ready2Robot toys are fun collectibles fighters that everyone will love. The robot toys come in fun box, which has seven parts. Noah loved it because the pilot was hidden in a little pot of gooey slime. It sits in a slime canister inside the box, you have to pop it out. It was quite a lot of fun unveiling the pilot together. The mechbot comes in parts which you have to build. You get weapons for the mechbot hidden in the box too. It’s great that all of these parts are hidden for you to find, it makes the unboxing even more special. The weapon shoots arrows out, Noah loved it. I did have to stop him from launching them at his sister though! As you collect more mechbots you can mix and match with the weapons and pilots. They currently have them for £5 (half price) on the The Entertainer website at the moment, so grab yourself a bargain. Isla loves the slime, she was happy playing with that whilst Noah played mechbot wars. The kiddies enjoyed making nachos for dinner and then settling down in front of the TV for a movie night of Ready2Robot episodes. They are short episodes but the children loved them, they thought the episodes were funny.